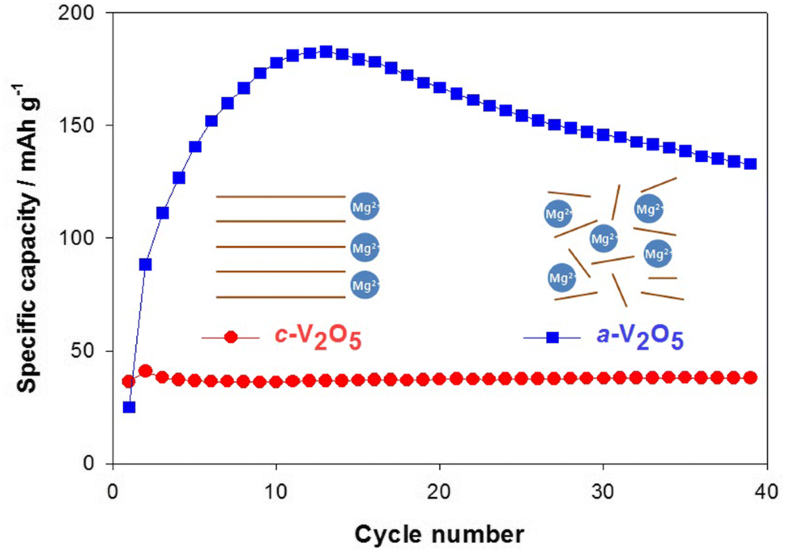 Amorphous vanadium pentoxide (a-V2O5) was prepared via the precipitation method, for use as a positive-electrode material in magnesium rechargeable batteries (MRBs). Amorphous metal oxides can be good candidates as the host materials for the Mg divalent ion because of many vacancies and huge void spaces. Furthermore, amorphous metal oxides generally do not experience a phase change during cycles. 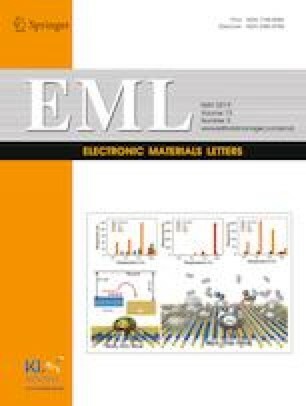 The electrochemical characteristics of the a-V2O5 and c-V2O5 (crystalline vanadium pentoxide) were evaluated and compared. Both a-V2O5 and c-V2O5 can store over 150 mAh/g of the Li+ ion in activated carbon (AC)/V2O5 cells, however, Mg2+ ion cannot be stored in both a-V2O5 and c-V2O5 in the first cycle. But, the specific capacity of a-V2O5 gradually increases up to 180 mAh/g after the 10th cycle, whereas c-V2O5 cannot react continuously. Therefore, the a-V2O5, which has a large specific capacity and high reaction voltage, can be a good candidate as a host material for MRBs because its amorphous structure has the advantage of the multi-valent ion storage. This research was supported by Korea Electric Power Corporation (Grant number: R18XA06-07).